I was SO excited to help Hannah with her rebrand + website project! 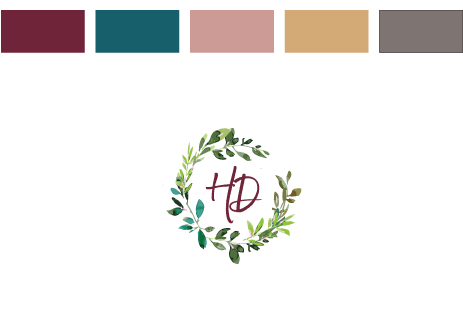 We created a beautiful logo and kept the antler theme going... ... she wanted pretty, whimsical, professional... with a bit of an earthy flare. Her photography style is very natural, rich, and timeless, so I wanted her brand to reflect that. We opted for deep, rich colors just like the colors you will see in her photos! I think the result is stunning! Check out her website project as well as brand/logo designs below. Want to find out how well your website is working for you? Take my quiz to find out now! How well is my website working for me?